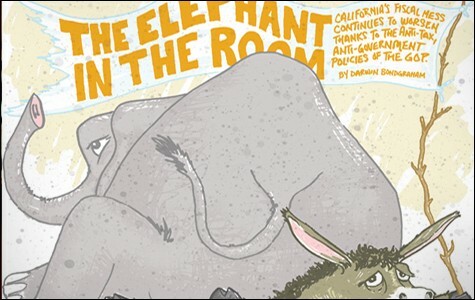 California's fiscal mess continues to worsen thanks to the anti-tax, anti-government policies of the GOP. 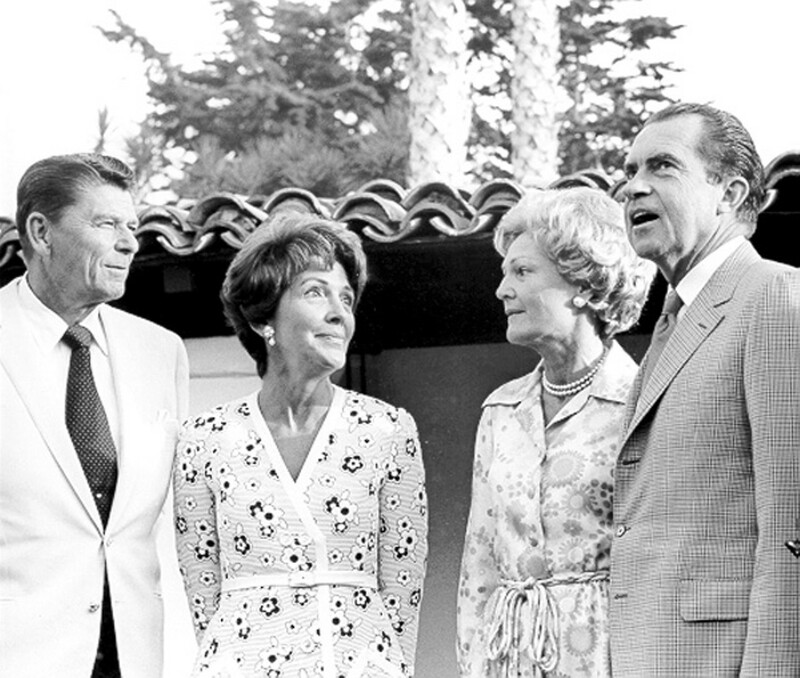 When he was governor of California, Ronald Reagan (shown here with his wife Nancy and the Nixons in 1970) increased taxes in order to balance the state budget. Today, that seems impossible. When Ronald Reagan became governor of California in 1967, he faced a massive budget deficit. But the first move by the man who would become the hero of the Republican Right was not to slash government spending. Instead, Reagan advanced a tax increase in order to balance the state's budget. It was a monster tax hike, too, equivalent to $6 billion in today's dollars. It was "a sweeping tax package four times larger than the previous record California tax increase obtained by Governor [Pat] Brown in 1959," noted Lou Cannon, a San Jose Mercury News reporter who followed Reagan for several decades. "An economist who analyzed the tax bill without knowing its political background might conclude that it had been crafted by a New Deal Democrat." Fast-forward 44 years. 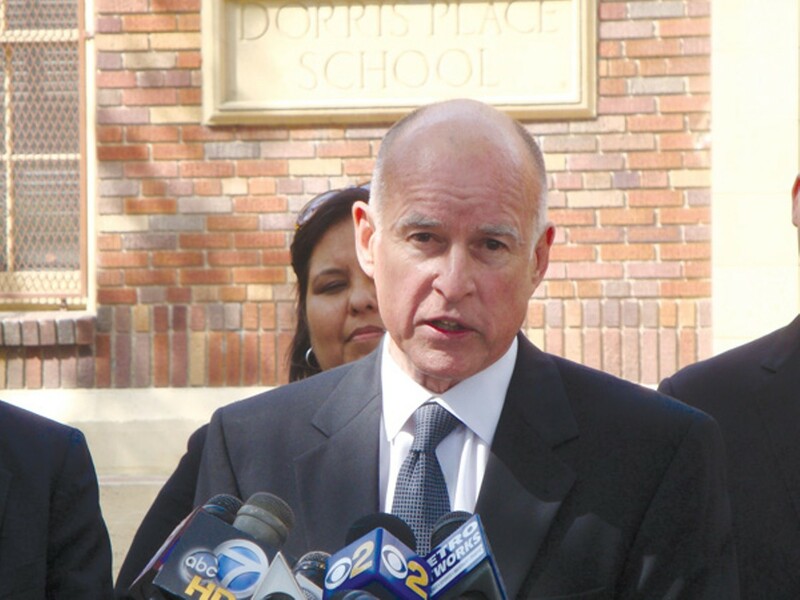 Upon taking office in 2011, Governor Jerry Brown confronted a similar situation to what Reagan had faced — a revenue-starved government needing to patch holes in its core programs. 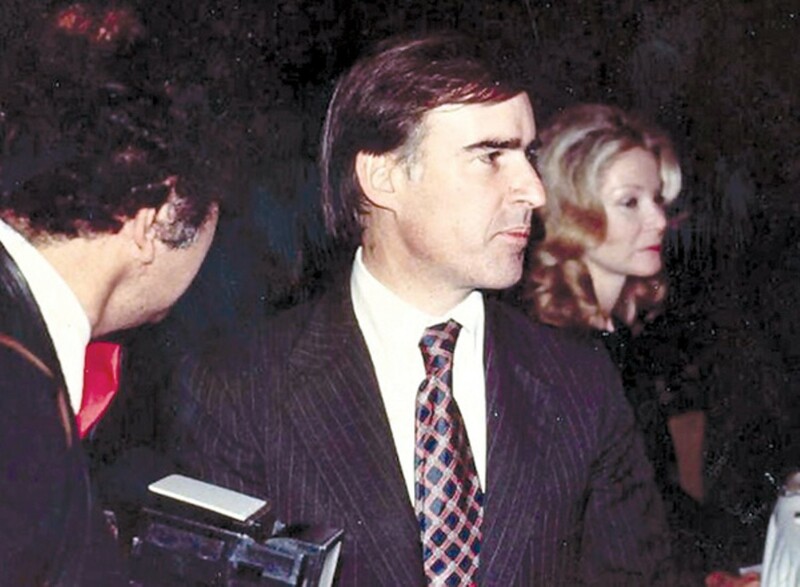 But in a dramatic sign of how times have changed, the Democratic governor pursued a slash-and-burn agenda far more austere than anything Reagan ever accomplished. Brown's first instinct was not to raise revenues, but to cut $11 billion from medical and welfare spending, decimate higher education, propose closing a quarter of all state parks, and drastically reduce or eliminate other means of state funding to cities and counties. Shortly after abandoning hope of gaining a few Republican votes for temporary tax extensions — not tax increases — Brown and the Democratic-controlled legislature enacted even deeper cuts to public services, including additional cutbacks to higher education. Assembly Budget Committee Chair Bob Blumenfield of Woodland Hills left little doubt as to what this year's budget means for progressive Democrats: "These cuts will forever haunt our conscience." Ronald Reagan and Jerry Brown's dramatically different responses to the fiscal hardships they faced provide a powerful example of how the political climate has shifted rightward in the past three decades, at least in terms of taxation and government spending. Since Reagan took office, anti-tax conservatives slowly came to dominate the debate over how our government functions, while progressive Democrats have ceded the political playing field to the point where our public institutions are now looked upon with scorn, as "bloated," as the root cause of our financial woes. Today, Democrats no longer talk about a "Great Society," but instead are left to fight amongst themselves about what to cut — public schools or public-employee pay, libraries or parks, cops or firefighters. 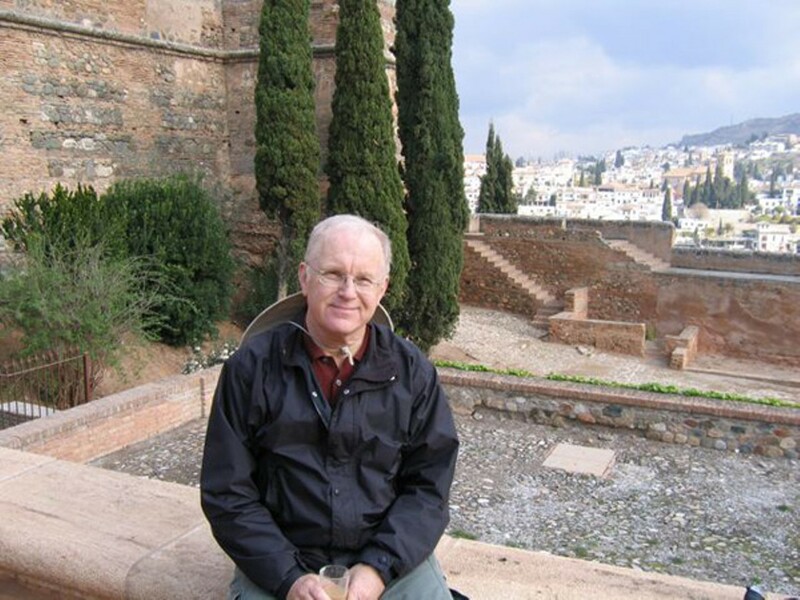 "The Democrats have moved so far to the right that FDR wouldn't recognize his own party," said Gray Brechin, a historian and geographer who leads UC Berkeley's Living New Deal Project, an effort to document legacies of social investments made during the Great Depression. From the long view of history, it's been a stark transformation. Back in the late-Sixties, Reagan was forced by public expectations about what government exists to do — and by the practical mechanics of how government worked at the time — to retreat from the anti-tax message that propelled him into office. He had no choice but to push for more revenues. The late-Sixties were part of a political era that began during the Great Depression. It was a time in which people believed in the power of government to improve their lives. Voters didn't fear deficits because they understood what was required during economic crises to create a new and better economy — income security, mass employment, and investments in schools, infrastructure, and new technologies. "Citizens were far less opposed to taxation," Brechin noted. "They saw it coming back to their communities in all sorts of useful things built by the Works Progress Administration, California Conservation Corps, and Public Works Administration — things like [community] swimming pools, schools, parks, roads, airports, and sewage systems." As a result, Reagan was forced by the politics of the time to find a way to fund education, roads, health care, parks, and universities — not cut them. Californians back then valued government and the services it provided, and more importantly they understood how damaged their communities would become if funds ran out. But in the decades since, the anti-tax, anti-government message that began with Reagan has gradually taken a stranglehold over the state's political discourse and how government operates. And thanks to ballot propositions pushed by the anti-tax movement, state lawmakers are now constrained by vote requirements that make it nearly impossible to raise revenues in a progressive way. Plus they're handcuffed by a labyrinth of funding mandates and formulas that provide little flexibility in crafting fiscal policy. And so, California, no longer able to raise revenues to fund even the most basic services, now spends less money per capita on governing itself than at any time since Reagan was in the governor's office. And yet despite the drastic shrinking of government and the increasing number of state residents who call themselves Democrats, the anti-tax conventional wisdom remains stronger than ever. So much so that Sacramento's perennial budget crisis, like the one in Washington, is viewed through a profoundly conservative lens: "Big Government" is to blame. And politicians, on both the right and left, often parrot the same message: The only "fiscally responsible" solution is to make cuts, lots of them. As for doing what Reagan did in 1967 — push a large tax increase to fix a massive budget deficit — that now seems impossible.